It's never to early to start reading! 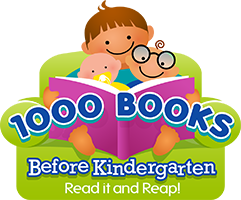 Children from birth through kindergarten are challenged to read 1,000 books before beginning kindergarten. Reading logs are available at and Bay County Library System location.